"A thoughtful approach to networking. 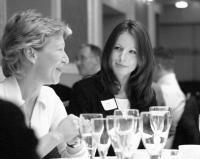 Great venues and a relaxed environment make The Business Network an enjoyable and productive addition to my calendar. Tracy and her team work hard to understand your objectives and do their best to help you achieve them."